Will the real Slim Shady please stand up? There are a lot of Eminem references being made now that Channing Tatum dyed his hair blonde. If you don’t follow the Magic Mike star on Instagram, then allow us to inform you that on Tuesday the actor posted a selfie on his Instagram Story showcasing quite the new look: platinum blonde hair. Now, his decision is one people can’t stop talking about, because when Tatum goes blonde, his fans need to talk about it on the internet. As you can see below, in the photo Tatum is shirtless and points at his new blonde buzz cut. He even asked fans to weigh in on the new ‘do via an Instagram Story poll, asking, “Bad idea? Haha,” and offering fans the option to vote yes or no. At the time of publication, voting remained open, so the final results aren’t known, but we do know that after the vote had been live for a few hours, 58 percent had voted “yes” it was a bad idea, whereas 42 percent had voted “no” it wasn’t a bad idea. Hopefully, Tatum will share the final poll results in the future because we really want to know how many people love and hate the blonde hair. It’s unclear if Tatum dyed his hair for fun, because he wanted a change or if the new look is for a role. Whatever the case, he kind of admitted taking the blonde plunge may have not been the best decision, but oh well, right? Not long after he posted a selfie of his new look, Tatum shared on his Instagram Story, “Well, bad ideas are sort of my thing. So…,” adding a shrug emoji for good measure. 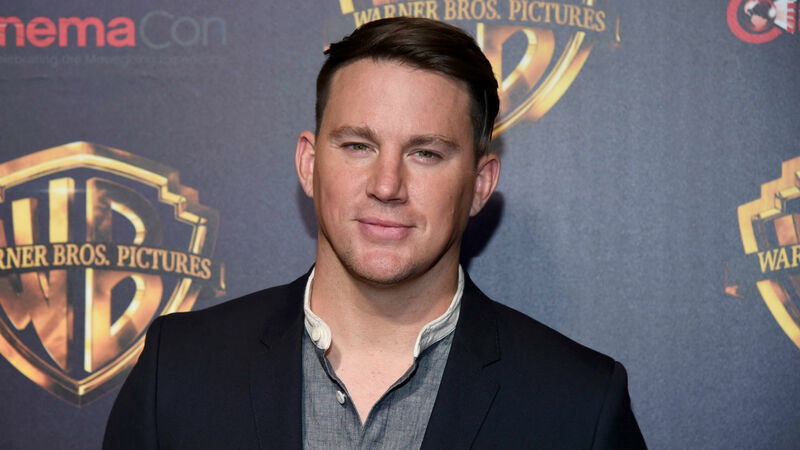 I’m not emotionally ready to talk about Channing Tatum going blonde. Who knows if Tatum will keep the blonde look for a while, or if he’ll fix the so-called “bad idea” immediately. Either way, the actor still looks damn good and he should just keep on living his best life, blonde hair and all.